Cardi B isn't just going to sing during her upcoming appearance on "The Tonight Show" — she'll also be asking questions. The hip-hop star will co-host the April 9 show with Jimmy Fallon. Cardi B is set to perform and promote her debut album, "Invasion of Privacy." 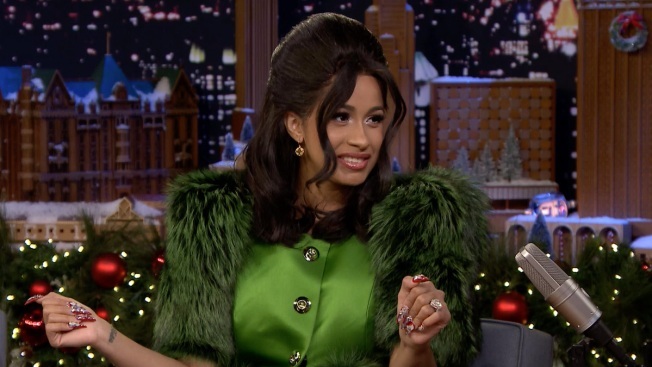 It will be Cardi B's third appearance on the late-night show. Other guests for Monday's show have not yet been announced. The co-hosting gig will follow Cardi B's stint as the musical guest on this weekend's "Saturday Night Live," which will be hosted by Chadwick Boseman. Cardi B received two Grammy nominations for her breakthrough single, "Bodak Yellow." "Invasion of Privacy" is set to be released Friday.